Houghton Mifflin Harcourt, 9780544617063, 384pp. 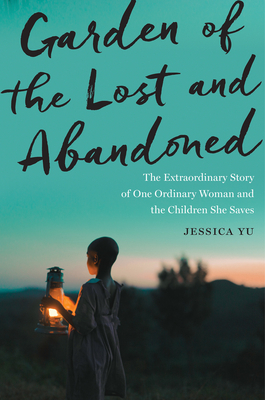 Jessica Yu delivers an acutely observed story of this hardnosed and warmhearted woman, the children she helps, and the twists of fate they experience together. The subplot of Gladys’s garden—her precarious dream of providing a home and livelihood for her vulnerable charges—adds fascinating depth. Garden of the Lost and Abandoned chronicles one woman’s altruism, both ordinary and extraordinary, in a way that is impossible to forget, and impossible not to take to heart.